We’ve looked at the 12 Southern, 4 Western, and 4 Northeastern states with Amish populations. Finally, today we review the 11 Midwestern states with Amish communities. 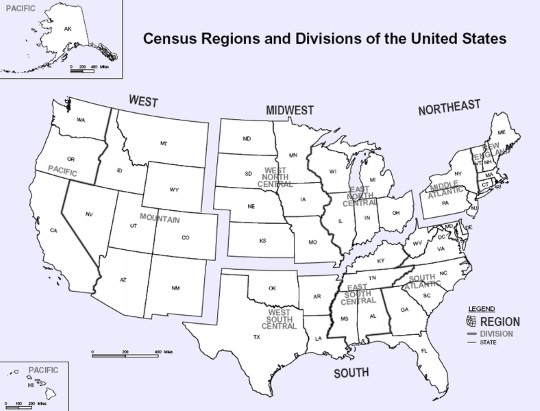 The Midwest as a region has a higher percentage of its states with Amish populations (11 of 12) and in many ways is both the US heartland and Amish heartland. 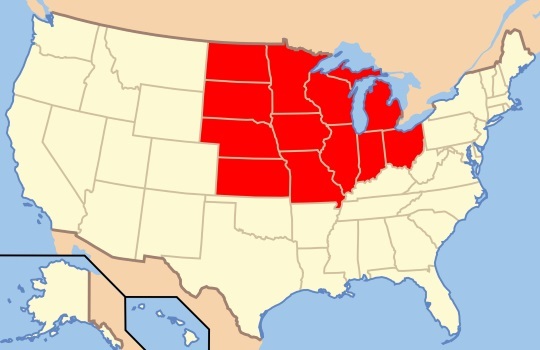 Three of the four most Amish-populous states (Ohio, Indiana, Wisconsin) lie in this region. North Dakota is the only state here that lacks an Amish presence. Moving away from the Great Lakes states and past Missouri and Iowa, the Amish population thins out quickly, with just a handful of communities in Nebraska, Kansas and South Dakota. Amish do have a long history in some of these states however, with Kansas, for example, having three settlements each well over a century old. Read on for the list of Midwestern states with Amish communities, ordered from greatest-to-lowest population. Figures are taken from the most recent Amish Studies population estimates. For fun here I’ve also added one random previous post on Amish in that state. 1. Ohio (62 settlements; 75,830 Amish) – Nearly the same population as neighboring Pennsylvania and location of the most diverse Amish settlement – Holmes County – with around a dozen separate Amish affiliations calling the place home. The state as a whole has more individual communities than any other. Check out this video visit to Mary’s Bakery in Hardin County, OH. 2. Indiana (24 settlements; 54,825 Amish) – Indiana is odd because while most other top Amish states all have in the range of 40-60 communities each, Indiana has a lot fewer. This is because its population is much more concentrated in several quite large communities – five of the twelve largest lie in the Hoosier State. How do Amish keep food frozen? 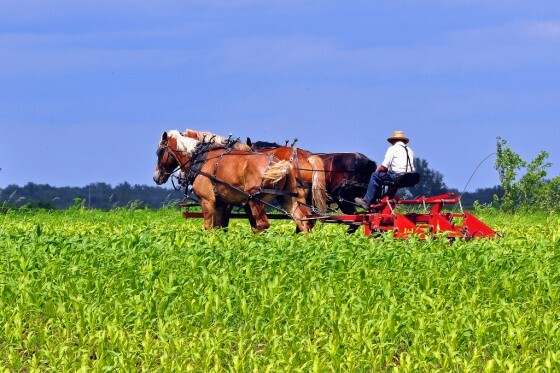 Here’s a post from one reader who provides that service for his Amish neighbors in northern Indiana. 3. Wisconsin (55 settlements; 21,035 Amish) – In much of the state’s Western half you’re usually no farther than a stone’s throw from an Amish settlement. The largest communities are found at Cashton and the Kingston/Dalton area. Some Amish object to smoke detectors, including those in one Wisconsin community. 4. Michigan (48 settlements; 15,465 Amish) – From the Indiana border to the “mitten’s thumb” to the Upper Peninsula, Amish have found locations across the state to call home. Centreville is the state’s oldest and largest settlement at around a dozen church districts. A visit to the Troyer Amish of Montcalm County, MI. 5. 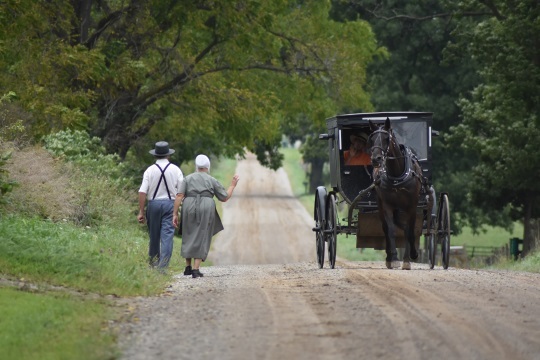 Missouri (46 settlements; 12,860 Amish) – Amish have flocked to Missouri as its Amish population has more than tripled in the past quarter-century. Here’s Missouri Amish builder Danny Schwartz in an unusual on-camera interview. 6. Iowa (23 settlements; 9,475 Amish) – Iowa has long drawn its share of Amish with the Kalona settlement at over 170 years old. Buchanan County and Davis County are home to similarly-sized communities of around 10 church districts. In 1965 Iowa Amish schoolchildren were involved in an infamous incident which led to the landmark Wisconsin v. Yoder religious freedom case. 7. 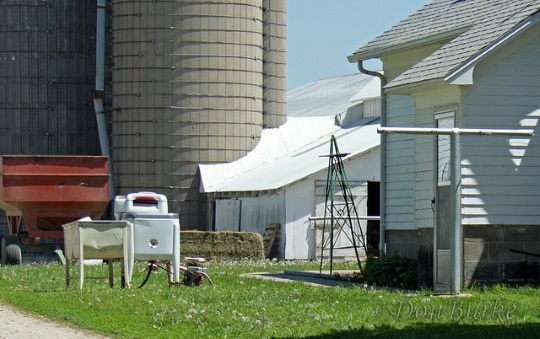 Illinois (20 settlements; 7,825 Amish) – The Arthur community is home to the bulk of IL’s Amish community, larger than all the other 19 communities in the state put together. Illinois Amish use eight Belgian horses to move the oldest-known Amish home in the state. 8. Minnesota (22 settlements; 4,385 Amish) – The Swartzentruber settlement at Harmony is the largest and best-known community, but small settlements dot the state. A mother visits her Amish convert son’s home in a remote corner of Minnesota. 9. Kansas (8 settlements; 1,725 Amish) – Home to several long-established yet small (2-3 church districts) communities, including the aptly-named Yoder. Over two dozen photos (including of the interesting transportation) from a visit to the community at Garnett, KS. 10. Nebraska (4 settlements; 390 Amish) – Nebraska’s Amish population is relatively new, with current settlements having started in the 2000s. There’s never been a very large Amish population here even though Amish first settled the state in 1880. Not to be confused with the “Nebraska Amish” group mainly of Big Valley in Pennsylvania. On the Amish at Verdigre, NE. 11. South Dakota (1 settlement; 85 Amish) – A small community was established in the southeast corner of SD in 2010. Several years ago reader Tom Geist paid a visit to this sole SD settlement and shared photos. I am surprised Minnesota is so far down on the list. I live next door to some Amish, sadly they are moving soon, from their current location, Becker County, down the road to Wadena County. Near New York Mills, I believe. Apparently, they have some issue with this community, from what my husband said. They didn’t say what, keeping it vague, just that it wasn’t a good fit. They moved here almost 7 years ago from, I think Iowa? We’ve seen a lot more Amish in our area of Becker County in the last few years though. Our neighbor said they grew into two church districts in the last year or two. We are right in the edge of Becker County, literally on the county line road, and the Amish settlement here is pretty spreadout, maybe just due to how the land is parceled out; lots of farm land with big fields around here. Just a few years ago a new, closer school was built as we had several Amish families in this immediate area and the closest school is quite a ways, maybe 6-10 miles? Now they have one about 3 miles from our house. It’s been great getting to know some Amish people and finding their businesses nearby. I often buy eggs at a nearby home as it’s much closer than the store because we are 16 miles from town! I also like to buy sugar and flour in bulk at a nearby Amish dry goods store, especially this time of year. I always bake for friends, family and neighbors 🙂 I hope our settlement here continues to grow and thrive! Jess neat to hear about your experiences with the local Amish. Minnesota doesn’t really have a very sizable settlement besides Harmony. But it has a lot of small communities, and has seen lot of new ones pop up, going from 5 to 22 total settlements in the past 25 years. In fact the total MN Amish population has nearly quadrupled in the same time, a rate which is well beyond the average. I wouldn’t be surprised if Minnesota’s population continues to increase at a rate ahead of the curve because I’m guessing there are good land opportunities in the state. A lot have settled in the northern half of MN which I would assume is among the more sparsely populated areas in the state. What is this buggy doing in Adams County, Indiana?